One of the most important pieces of equipment on a boat is a VHF marine radio. Boaters who plan on going more than a few miles from shore should also have an MF/HF radiotelephone and an emergency position indicating radio beacon (EPIRB). Note: The FCC requires a Ship Station License for boats with a single side-band MF/HF radiotelephone, unless they are small recreational vessels. 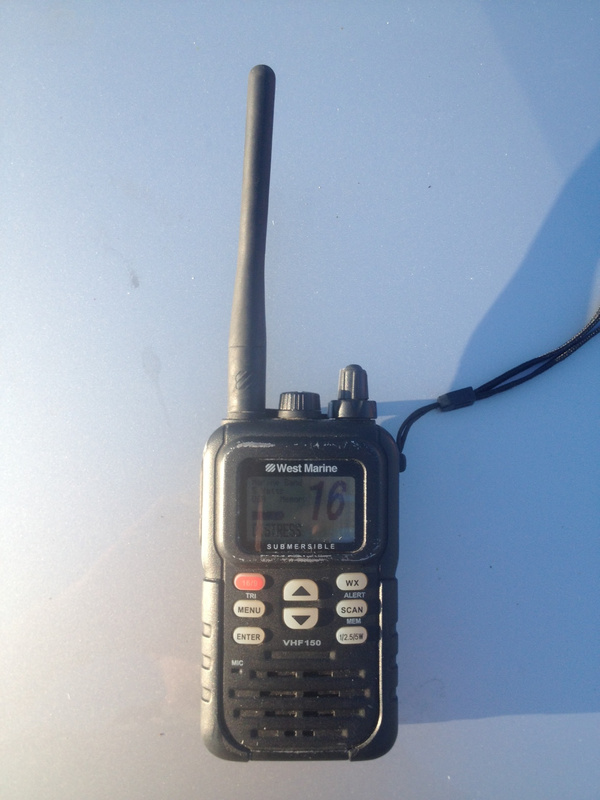 There are two main types of VHF radios — rechargeable hand-held radios and fixed mounted radios. Fixed mounted radios have an antennae mounted to the boat that's capable of transmitting greater distances. In general, VHF marine radios have a range of about 5-10 miles, and at least 20 miles to a USCG station. The FCC requires that any boat equipped with a VHF marine radio keep a watch on channel 16 (156.800 MHz) whenever the radio isn't being used to communicate. Channel 16 is recognized worldwide as the distress, safety and calling channel, and is used by the USCG to make urgent broadcasts and weather warnings. Though you may occasionally switch to channel 9 to communicate with other recreational boats, you are likely to make contact with them on channel 16 first. Channel 16: The international distress, safety and calling channel is constantly monitored by the USCG. Use it to contact them or nearby boats in the event of an emergency. You can also use it to contact commercial shipping vessels, and to hail recreational vessels, however, additional communication should be moved to another channel. Channel 9: The national boater calling channel allows for non-commercial boats and shore units to communicate, and can be useful when channel 16 is congested. Turn on your VHF radio and adjust the squelch dial until you hear static from the speaker, then adjust the volume. Re-tune the squelch dial to get a clear reception. Make sure your radio is working properly and that others can hear you by doing a radio check. Tune to an open channel, like 71, and hold the microphone at a 90-degree angle to your face, speaking clearly. Say "radio check" three times, then the name of your boat. For example: "Radio check, radio check, radio check, Starfish." You should get a response like "loud and clear Starfish," or "five by five," indicating a strong signal. Do not ever call a false mayday to get a response to your radio check. Every mayday hoax is subject to prosecution as a Class D felony, liable for a $5,000 fine, plus all costs the Coast Guard incurs responding to it. The Coast Guard and FCC can use special technologies to identify your radio. The word mayday is the international distress signal. If your boat is in trouble and you need emergency assistance, follow these steps to send a distress call. Tune to channel 16 and speak the word mayday three times. Say, "This is [name your boat three times]." Say your call sign or boat registration number once. Repeat "mayday" and the name of your vessel once. Give your position by latitude or longitude or bearing (true or magnetic — specify which), and your distance from a well-known landmark, such as a navigational aid, lighthouse or island. Describe what you think would best help a responding station locate your boat. Include information on your vessel's movement, such as speed, course and destination, if possible. State the nature of your distress — fire, sinking, etc. Communicate what kind of assistance you need. Give any other information that will help rescue efforts, such as the size of your vessel, hull color, the number of people injured, etc. Say "over" when you are done speaking. Repeat the call until there is a response, and keep close to the radio if you can. The Coast Guard may need you to transmit a signal for a rescue boat or aircraft to home in on. Note: If you hear an unanswered distress call from another vessel, then it is your responsibility to answer it. If you think it is too far away, then give other boats the opportunity to respond first. Pan-pan is used to signal an emergency aboard a vessel, and indicates that the safety, but not the life, of a person onboard is at risk. It may be used when a person has fallen overboard. Pan-pan differs from mayday in that it does not indicate that the vessel itself is in danger. It is transmitted on channel 16 has priority over all communication on the airwaves except for a mayday. Sécurité is used to relay important safety information such as navigational and meteorological warnings that are not necessarily life-threatening. It is broadcast over channel 16 and then on channel 22A. Sécurité is the least urgent call, after Mayday and Pan-pan. You can use channels 16 to hail other ships, but keep your communiqué short and sweet. Repeat the boat's name you wish to contact three times, then say your boat's name, then "over." For example: "Astraeus Astraeus Astraeus, this is Pink Champagne, over." At that point the responding ship, in this case Astraeus, might say something like "Pink Champagne this is Astraeus. Reply 68." That means to turn to channel 68 to continue the conversation. Make sure that your voice and others can be heard on the airwaves. Wait until the radio is silent before attempting to speak. On VHF radios, the strongest signal is dominant, and if you aren't listening you could end up stomping on someone's distress call. When using the microphone, wait for a second after you press the "Push To Talk" button to begin speaking, or your first words might be missed. Speak clearly. If you are on a windy deck, shield the microphone with your jacket, or duck down into the cockpit. Always end your transmissions with the word "over" to let others know they are free to talk. If you are leaving the channel, say "out." Wait for others to say "over" before you start speaking. WX Band (162.400 MHz - 162.550 MHz): These channels receive NOAA weather broadcasts and marine forecasts. To access WX Band stations, push the "WX" button on your radio. Channel 13 (156.650 MHz): This channel broadcasts the movement of large commercial vessels, and can be useful to recreational boaters navigating crowded harbors. Channel 22A (157.100 MHz): This frequency is intended for the USCG to broadcast important information for boaters. USCG may first alert boaters to the broadcasts using channel 16, telling them to switch over. Channel 70 (156.525 MHz): This channel is authorized only for distress, safety and calling purposes using digital selective calling (DSC) techniques. No voice communication is allowed here. Here is a full list of channels from the USCG. Teach your crew how to send a distress call — in the event of an emergency, you may be incapacitated. Always keep your radio on and tuned to channel 16 while underway, and communicate with other boats quickly and efficiently. (This is not the time to test your skills as a radio talk show host.) Keep your language clean to avoid dirty looks at the marina or yacht club, and maintain a watch on GetMyBoat for new articles and information. If you do, you'll be an expert in no time. Out.